Shane, our pilot. was fantastic. Very informative and also did not "chat" the entire trip. That gave us the opportunity to ask questions and quiet when needed due to the beautiful views. 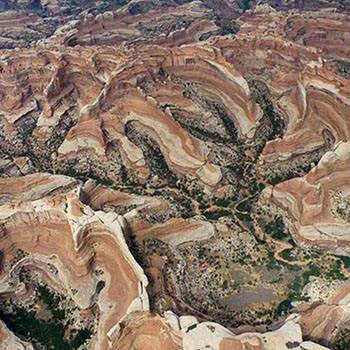 Take my advice: do this Canyonlands flight! It was awesome, with so much more variety than Grand Canyon. Our pilot, Gene, was brilliant, and so passionate about the area. Loads of info on what we were seeing, and pointed out special photo opportunities. Love that I easily could book my Scenic Flight over Canyonlands National Park online through the Moab Adventure Center. On the flight Chris, our pilot, did a great job pointing out everything and making sure we actually saw it. Excellent experience.